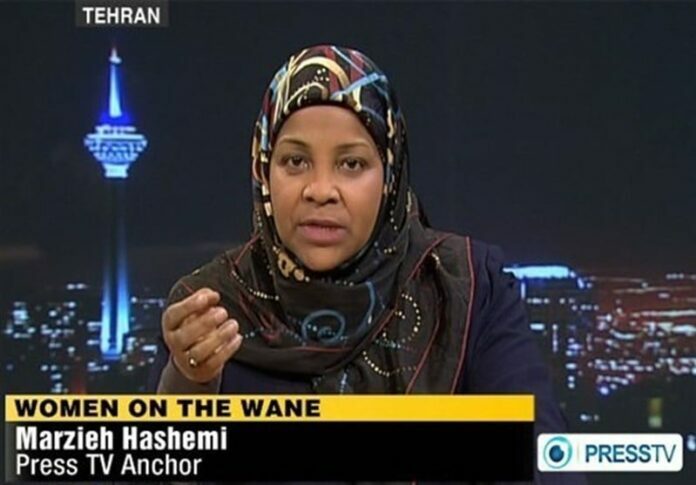 Iranian Press TV’s news anchor Marzieh Hashemi has been arrested and imprisoned in the United States with no formal charges. Press TV has learnt that Hashemi is being held at a detention facility in Washington DC although no formal charges have been pressed against her. The American-born journalist and television presenter, who had been traveling within the United States to visit her ill brother and other relatives, was detained at St. Louis Lambert International Airport on Sunday, and later transferred by the FBI to the detention facility. Even though there are no charges against her, Hashemi informed family members of mistreatment at the detention centre. She said her hijab had been removed against her will, and that she was being treated as a criminal. Hashemi, a Muslim woman, was born in the United States and is an American citizen.